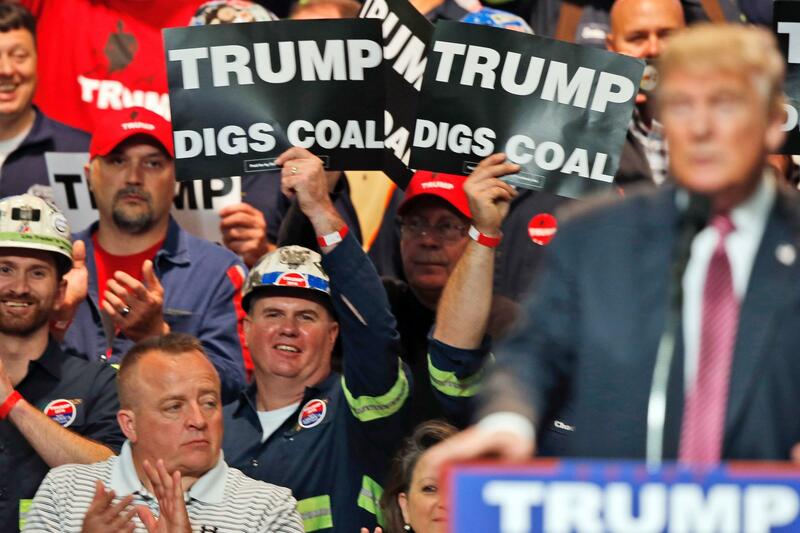 Donald Trump has promised a renaissance for the coal industry, but analysts say the market forces causing the decline of coal and the rise of renewables may be difficult to stop. Donald Trump's shocking victory in the 2016 presidential election will have reverberations on many aspects of American life. But many say one of the most serious is what it will mean for energy and environmental issues. Most notably, Trump’s election likely foreshadows a shift away from President Barack Obama’s move toward renewable energy. First and foremost, Trump could decide to reverse course on two of President Obama’s biggest climate initiatives: the Paris Climate Agreement, which commits the U.S. to reducing its carbon emissions; and the Clean Power Plan, a regulation on the power industry that would help the U.S. accomplish these greenhouse gas reductions. In addition, Trump could do away with vehicle fuel efficiency standards the Obama administration established. “You really have a whole host of things the [Obama] administration put together as part of a comprehensive executive climate plan that the Trump administration can just begin to knock down one by one,” says Stephen Lacey, editor-in-chief at Greentech Media. Varun Sivaram, the Acting Director of the Program on Energy Security and Climate Change at the Council on Foreign Relations, says he hopes President-elect Trump will keep many of Obama’s policies on climate. But judging by Trump’s past comments, that seems unlikely. He’s called climate change a hoax. And at a gas industry conference in Pittsburgh in September, he told the crowd he would roll back many of the Obama administration’s efforts to slow down global warming. “Big picture, I would imagine the U.S. is slower to phase out coal than a president who would have retained the Clean Power Plan,” Sivaram says. Still, Sivaram doubts coal will make the comeback many in that industry are hoping for because of competition from cheaper natural gas. Foreman John Dillon, a 39-year veteran of the coal industry, walks past piles of coal at the Sewell "R" coal mine in Yukon, West Virginia. Cheap natural gas prices have undercut the coal industry in the U.S., leading to bankruptcies among four major coal producers. Bob Wilson, a coal miner in Greene County, Pennsylvania, also says he thinks Trump would be good for his industry. Wilson says he supported Trump because he agreed with the candidate on issues like abortion rights and immigration, but the economy was a big factor. Blair Zimmerman, a Greene County commissioner and former coal miner, says he voted for Clinton. But he thinks others in his county—where 70 percent voted for Trump—based their votes more on the two candidates’ position on coal. Zimmerman doesn’t think Trump can bring back the coal industry to what it was before. 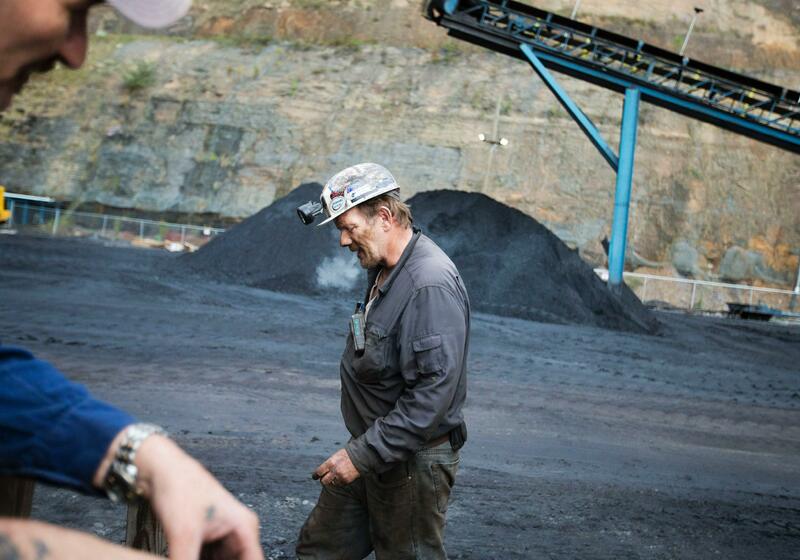 Last year, U.S. coal production hit a 30-year low. He would like to see his region look past coal as an engine of economic growth. As for the renewable industry, Greentech Media’s Stephen Lacey says the gains made by the solar and wind industry over the past decade have set in motion a process of greening the energy grid that may be “unstoppable.” Trump could slow this down, but the renewable energy industry is likely to continue its momentum. Steve Peplin, the CEO and founder of Talan Products, which makes racks and mounts for solar panels in Cleveland, says the election could be bad for his bottom line. If Trump decides he wants to take away the solar investment tax credit that Congress recently extended for five years, that would hurt the solar industry. But Peplin says solar has enough momentum that it could keep growing under a Trump presidency. Julie Grant contributed to this story. Fore more than half a century, the chemical company DuPont provided jobs for thousands of people along the Ohio River. One chemical they produced is PFOA, commonly known as C8. It was a remarkably useful compound—used in “Teflon” non-stick cookware, stain-resistant fabrics and even some food wrappers. Standing in downtown Pittsburgh, you can see where the Allegheny and Monongahela Rivers meet to form the headwaters of the Ohio River.